We sure do love eggs in our home but let’s face it, eggs can get pretty boring when eaten day in and day out. I feel blessed that Andrew loves eggs but Mama needs to incorporate variety so he doesn’t get tired of eating every day. The last thing I need is for him to stop liking eggs! I tried to fix him soaked oatmeal but he wouldn’t have any of it. So funny because he used to eat it up! So what’s a Mama to do? Switch it up and make baked oatmeal and sweeten it with real maple syrup, applesauce and cinnamon of course! 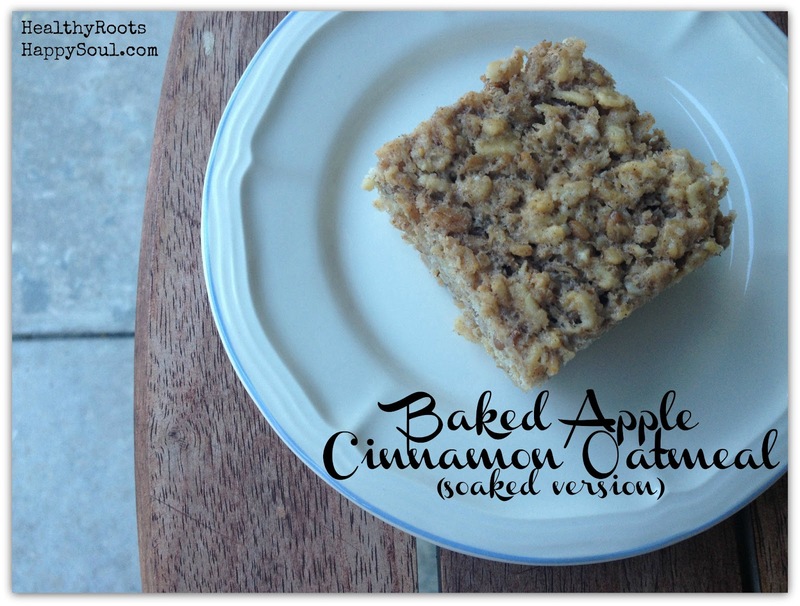 The base for this recipe comes from Kelly the Kitchen Kop’s baked oatmeal recipe but I changed a few things to my family’s liking. To make this ahead of time: Follow steps 1-5 (do this the night before you plan to bake the oatmeal). Place a cover on glass baking dish and set in the refrigerator. In the morning, just set the temperature and place pre-mixed oatmeal in the oven to bake! Thanks, this looks wonderful! About 6 months ago I stopped letting my kids have cereal for breakfast (a HUGE change in our house!!!) and I’ve been looking for great recipes ever since! It is SO yummy! We haven’t had cereal in over 2 years and miss it but the zero health benefits really outweigh the convenience. I’m sure this recipe will set right with your children.. it’s so good! Oh snap, thank you so much for posting this! It is going to be so helpful when I research Cinnamon at the store! Extraordinary! So you don’t drain/rinse the oats after soaking? Can I swap out rye for einkorn berries? Thanks!! I’ve never tried swapping out with einkorn berries! I’d love to hear what you came up with. You can drain/rinse the oats or not — your choice.